The race that was really a LSD. 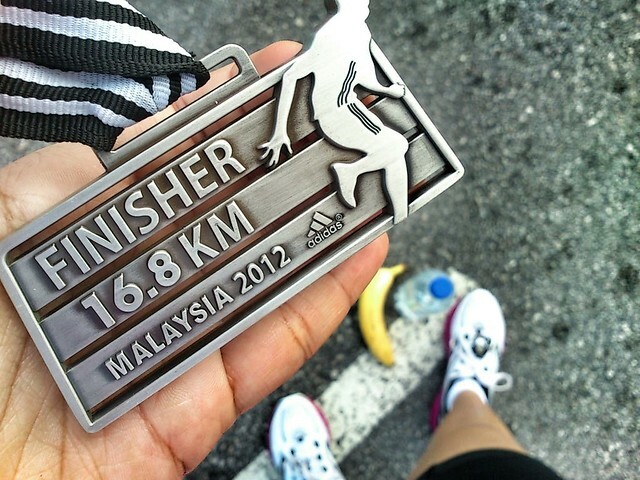 Initially this year I didn’t sign up for Adidas King of the Road 2012 because it was a mere 2 weekends after Hari Raya and I wasn’t sure if my fitness level was up to pounding the long 16.8km after a month of fasting and reduced time of running practice. Nonetheless it was fated that I was to participate in it with 9,999 other runners when two friends gave up their bibs due to other commitments and circumstance. The organizer changed the location of the starting line this year and it was a good thing I read the race pamphlet (I do this religiously for every race – you never know what information you might be missing out on), or else I would’ve probably stood in the same location as last year’s to the baffling sound of crickets. The flag-off for the 16.8k folks was at 6:45A.M. and it is really a sight to behold, thanks largely to the multi-colored running vests that Adidas so creatively issues to every runner. Adidas does make the best-looking running tops for their races, to me it represents a hybrid feeling of fun and dignity. 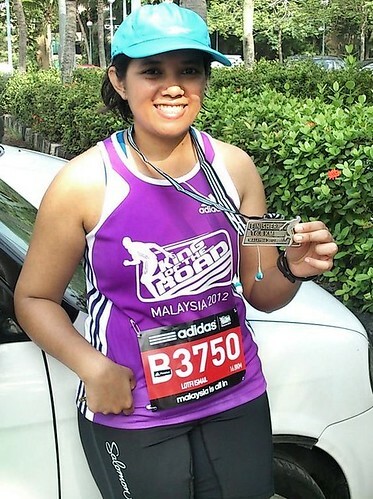 I decided to take this race as part of my long slow distance practice for my half marathon at Putrajaya in October as I really didn’t feel like running it faster than I had to. We ran on the New Pantai Expressway again this year, albeit in a modified direction, and in terms of view there is still not much to see. The highway is elevated and at various points disturbing smells of burning factory waste permeate the air. Not exactly a route you’d want to pursue if fresh air and scenic landscape are what you want. Nonetheless the open highway and the long winding and undulating road ahead is what drives every runner forward, at the end of it all the coverage of distance and the promise of a good challenging workout and strong finishes are always the key takeaways – at least they are for me. Water supply was plentiful along the route and after halfway through they started issuing isotonic drinks, which was much appreciated. But after a while I got tired of chugging down sweet drinks that I was desperately looking for water to wash it all down. The sun was shining brightly as it was way past 8:30A.M. and I still had a few kilometers to go. I saw a group of teenagers playing the kompang as part of their bid to cheer and motivate us on; the drum beats raised the hairs on my arms, as they often do. As I reached the last kilometer a pot-bellied policeman was standing on the side, clapping and cheering me on. “Cepat ‘dik, kalahkan budak laki! (Hurry, beat the boys)!” he yelled at me animatedly. I appreciated the cheer-on, but really – beat the boys? Don’t know if he was being cynical or sincere. Nonetheless every little clap or cheer you get en route should be taken with gratitude for at least someone cares enough to push you on. At last I saw the finish line, and so revved up and crossed it with a modest finishing time of approximately 2h 15m. Not too bad, but of course much better than the 3 hours I spent on my legs last year at KOTR due to the knee injury I experienced at km5. In short, I was satisfied with this race and felt good about it as I felt I could run another 5km to make it a half marathon distance…! 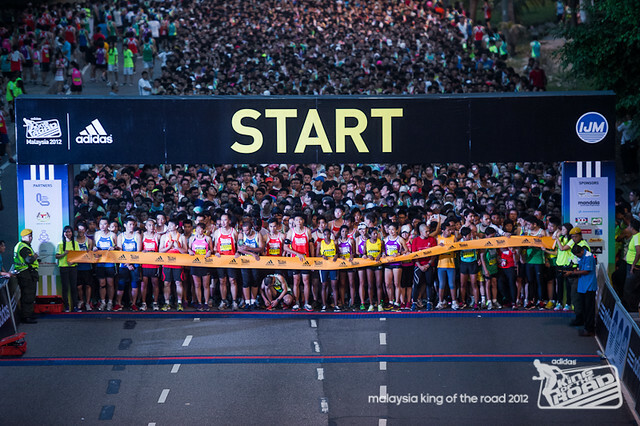 What I disliked about it was having to spend a blasted 45 minutes post-race in the parking lot at Sunway, just waiting to get out – precious time which I could’ve probably spent to run that extra 5km!